The 2018 Dodge Journey is a mid-size Sport Utility Vehicle (SUV) that carries a starting price tag of slightly less than $23,000. Up to eight people could take a ride inside this spacious and reliable family vehicle. The SE has entry-level status, and the SXT is next on the lineup. The Crossroad has mid-level classification, and the GT is the most sophisticated model on the roster. Also considered a mid-size SUV, the 2018 Ford Edge has a manufacturer's suggested retail price (MSRP) of just more than $29,000. However, only five seats are available in this Ford model, which is ideally designed for small families. Under the hood, the 2018 Journey is available with the iconic Pentastar V6 engine block. The turbocharged EcoBoost technology dominates the powertrain in the Ford Edge. Both models are available with all-wheel drive and a six-speed automatic transmission system. Therefore, these vehicles are relatively equal when it comes to capabilities and handling. Additionally, both models have similar fuel economy ratings on the highway and in the city. Read on to find out much more information about our 2018 Dodge Journey vs 2018 Ford Edge review. 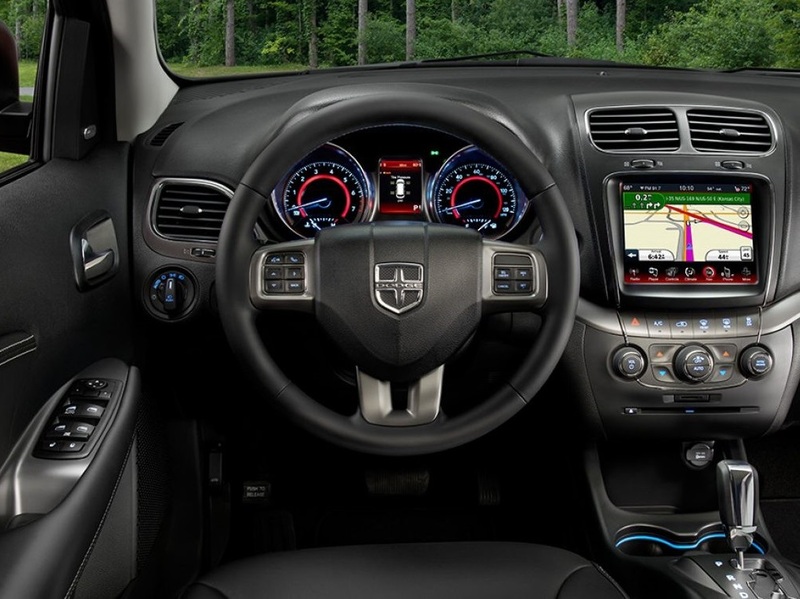 If you're looking for the ultimate high-tech experience in the 2018 Dodge Journey, then get the Uconnect 3 NAV infotainment system. As the name implies, this patented multimedia console includes a GPS navigation system with several helpful applications. An 8.4-inch display with a touch-screen design is standard in this trademark platform. You can easily switch between 2-D and 3-D maps that are presented in color. The award-winning Garmin brand has proudly developed the hardware and software for the Uconnect 3 NAV system. Do you need real-time traffic updates? Just tune into the SiriusXM Traffic broadcast. Additionally, the SiriusXM Travel Link delivers reliable information on weather forecasts, gas prices, sports scores and other interesting topics. You just won't find as many connectivity amenities in the 2018 Ford Edge. An Albuquerque dealer will also provide details on the Journey's other technological features, such as the Wi-Fi hub that sends signals to several compatible devices at the same time. When doing a Journey VS Edge comparison, it's important to focus on entertainment. This Dodge SUV is available with a 9.0-inch display that flips over from the overhead console in the second row. Passengers could watch movies or play video games on this high-resolution screen. When it comes to acoustics, the Journey offers a superb experience thanks to six speakers that are designed by the Alpine brand. A subwoofer and 368-watt amplifier are included in this signature audio system that's connected to SiriusXM Satellite Radio and various other sources. Serving customers in Albuquerque New Mexico, Melloy Dodge will happily provide tours of the 2018 Journey. This premium SUV is available with genuine Capri leather upholstery and other durable materials. Mesh inserts and perforated textures are included in some of the comfortable seats. If you're looking for optimal comfort during the winter season, make sure to request heated front seats and a heated steering wheel. A Dodge Albuquerque dealer will also emphasize that the Journey model has a 115-volt auxiliary power outlet, which is versatile enough to charge large electronics and small gadgets. Several 12-volt outlets are also available for quick charging of mobile phones and tablets. When you compare the Journey VS the Ford Edge, place extra emphasis on interior comfort. 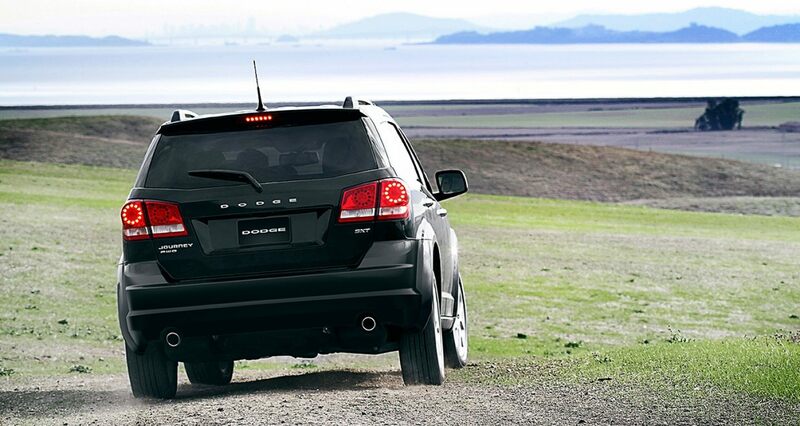 This Dodge model is available with an automatic climate control system that comes with three distinct zones. Thanks to the cargo tray by Mopar, you'll have an easy time organizing items in the rear section of the vehicle. Tie-down loops are also available to provide extra stability and support for irregularly shaped cargo. The second-row seats could be folded completely flat to significantly expand the total interior volume that's available for cargo. There's even a storage compartment that's neatly integrated into the floor in the cargo area. The 2018 Journey comes in multiple exterior colors that simulate the organic beauty of nature. You could customize this stylish SUV with Blood Orange, Redline or Olive Green. If you want some urban sophistication for the body, choose White Noise, Granite Pearl, Bruise Grey or Pitch Black. Of course, there are several other premium accessories that supplement the awesome paint options. Black headlamps bezels add some cool appeal to the front of the vehicle. The signature crosshair grille accentuates the aggressive stance of this sporty Dodge. Sculpted fender flares and dual bright exhaust tips add some aerodynamic style to the already sleek profile. Covered in chrome, the side roof rails increase the total cargo capacity of this family-friendly model. Power-folding side mirrors with heating ensure a smooth drive on a chilly day. The Journey also has an extensive lineup of premium wheels that roll in style. Black and high gloss are some of the finishes that are available for the wheels, which come in diameters ranging from 17 to 19 inches. The all-season Touring tires on this Dodge have the 225/55R19 BSW and P225/65R17 BSW codes. Are you curious about the 2018 Dodge Journey vs 2018 Ford Edge rivalry? Then contact our dealership today. Serving auto shoppers in Albuquerque New Mexico and the surrounding region, Melloy Dodge offers a wide selection of 2018 Journey models for lease or sale. 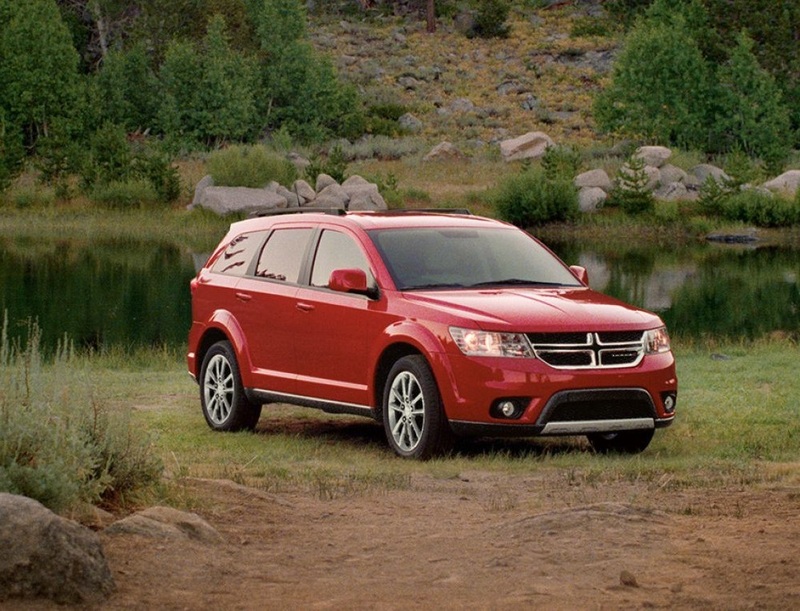 After you take a test drive in this Dodge SUV, you'll confirm all of the advantages that it has over the Ford Edge.